The CBC’s Dwight Drummond had a chance to speak to Imam Zaid Shakir about radicalization and the rise of Islamophobia following the terror attacks in Paris and San Bernadino. 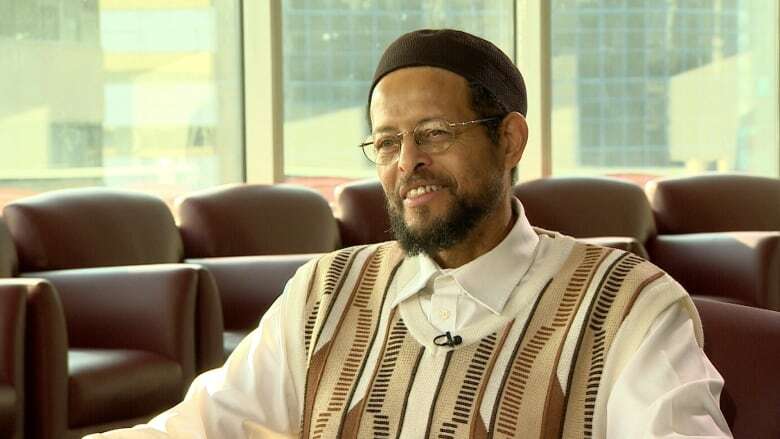 One of North America's most influential Islamic scholars, Imam Zaid Shakir, will address thousands of Muslims at the Metro Convention Centre this weekend for the annual Reviving the Islamic Spirit conference. One of North America's most influential Islamic scholars, Imam Zaid Shakir, will be among those addressing the conference. The CBC's Dwight Drummond had a chance to speak to him shortly after he arrived in Toronto about radicalization, Donald Trump's call to ban Muslims from entering the United States and the meaning of the holiday season. "Definitely the mosque or masjid has a role to play, the imams — the community leaders in the Muslim community — have roles to play but the wider society also has a role to play. And unless and until we can accept that and assume that responsibility as societies that we all belong to, I think it might continue to happen." "I think these demagogic statements that Donald Trump is making ... he's just trying to increase his ratings and in this case his numbers in the poll. And in that sense he's only appealing to a sentiment that's already there." "This year, 2015, this Christmas season is also the season where as Muslims we're celebrating ... the birth of Jesus and the birth of Muhammad... I think the message of Christmas, the message of peace - that's the message of Islam."